Located just 20 minutes away from the heart of Chiang Mai city, Mae Jo Golf Club & Resort is especially designed for your most enjoyable golfing vacation experience. Ranging over 500 rais, our 18-Hole par 72 course was thoroughly designed to blend in beautifully with its natural terrains and spectacular surroundings. The course layouts, which were thoroughly designed based on maximum safety and risk-reward approach, provides challenging but fair play to both amateurs and professional golfers. Each hole has a unique design and requires different game plan to shoot for a par. Several elevated tee boxes, which are spread throughout the course, reserve panoramic views of the course and surrounding, and at the same time, provide more challenging plays. The course features rolling fairways and large challenging greens which are considered ones of the most challenging greens in the northern part of the kingdom of Thailand. Along side of the fairways, golfers will come across many local fruit-bearing trees, such as Longan, Lychee, Pomello and Tangerine, which provide not only unique scenery but also unique tasting experience. 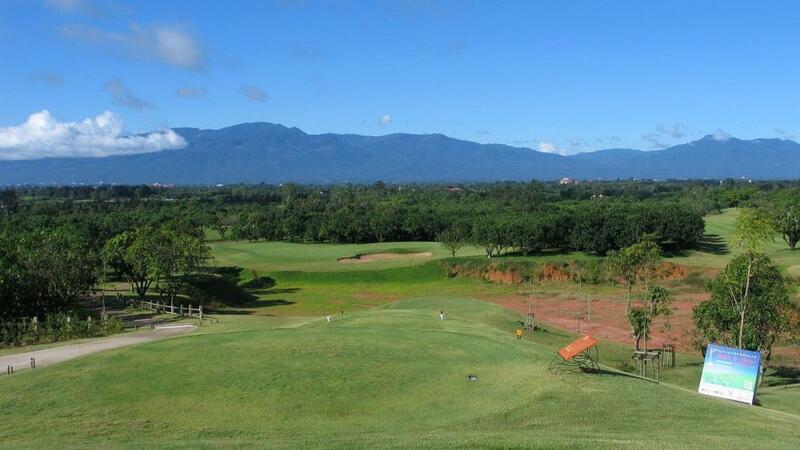 So escape your busy city life and come experience your memorable golf vacation at Mae Jo Golf Club & Resort.